Let’s play a little game. I’ll ask some questions and you answer them. OK? First question: Did God tell Abraham to kill his son? Next question: Did God tell Joshua and Saul to kill children as part of the “ethnic cleansing” of Canaan? Is that a hesitant yes I hear — like walking in untied shoes? My next question is simple and straightforward: Does God change? Well then, since God doesn’t change — and you have already acknowledged that in times past God has sanctioned the killing of children — is it possible that God would require you to kill children? You say you don’t like this game? I understand. I don’t really like it either. But stick with me, I have one more question. If God told you to kill children, would you do so? I know, I know, I know! Calm down. Of course you answer without hesitation that under no circumstance would you participate in the killing of children! Yet in answering with an unequivocal no to the question of whether or not you would kill children are you claiming a moral superiority to the God depicted in parts of the Old Testament? After all, God commanded the Israelites to exterminate the Canaanites, including children…didn’t he? Yet you obviously find the very suggestion of participating in genocide morally repugnant. So what is going on here? Is genocide something God used to do, but now he’s changed? But you already told me God doesn’t change. God is immutable. God doesn’t mutate. Yes, you’ve been painted into a corner. And something has to give! 1. We can question the morality of God. 2. We can question the immutability of God. 3. We can question our understanding of Scripture. For me, the first two options are off the table. I cannot believe God is immoral or mutable. If you suggest that I go with a variation of the first option by claiming that when God commands genocide it’s not immoral, that is asking me to violate my own conscience. I cannot do it. I will not do it. Genocide is immoral. I know this. And you know it too! Furthermore, such a position opens the door for all manner of evil to be justified in the name of God — something the human race has a long, tragic history of doing. For me, any variation of the first option is unacceptable. This leaves us with only the third option. We have no choice but to revisit how we understand Scripture — particularly the Old Testament. Let’s begin by asserting that it is Jesus Christ who is the true Word of God. Christians confess that Christ is the Logos (divine logic) made flesh. This is the theme of John’s majestic gospel as he asserts over and over again that it is Christ who finally and fully reveals to humanity what God is really like. This is a whole subject in itself, but let’s move on. The Old Testament is the inspired telling of the story of Israel coming to know their God. But it’s a process. God doesn’t mutate, but Israel’s revelation and understanding of God obviously does. Along the way assumptions are made. One of these assumptions was that Yahweh shares certain violent attributes with the pagan deities of the ancient Near East. These assumptions were inevitable, but wrong. For example, the Hebrew prophets will eventually begin to question the assumption that Yahweh desires blood sacrifice. Jesus was fond of quoting Hosea’s bold assertion that Yahweh doesn’t want sacrifice, he wants mercy. OK, let me put my cards on the table. The whole point of this exercise has been to dampen enthusiasm for using the Old Testament to justify the use of violence. This is a dangerous practice that must be abandoned in the light of Christ. For if you want to occasionally revert to the Old Testament to justify the use of “appropriate” violence, how do you know you won’t be using the Old Testament to justify genocide? This is a legitimate question. This very kind of justification was used by European Christians during the Native American genocide of North America. In 1637 the English colonial leadership in Connecticut wanted to launch a war of aggression against the Pequot tribe for the sole purpose of possessing their land. When some of the colonists expressed moral qualms, the matter was referred to their chaplain, Reverend John Stone. The good reverend spent the night in prayer and in the morning reported that God was “clearing the title” for his chosen people, the English, to possess America. The next day armed colonists attacked the Pequot settlement at Mystic and seven hundred men, women, and children were killed in the span of an hour. Captain John Mason described the slaughter in these words. This is the problem with reading the Bible as a flat text where every passage carries the same weight of authority. In such a reading the Bible can be used to justify every kind of violence including genocide. It’s been done before. This is why we must interpret Scripture in the light of Christ who is the true Word of God. The kingdom of Christ is without coercion. (And certainly without violence!) As Christians we persuade by love, witness, Spirit, reason, rhetoric, and if need be, martyrdom, but never by force. Christ followers are called to embody the peaceable kingdom of the Lamb. Very good thoughts, my Senior Christian Worldview class is reading over this to come up with discussion questions. Thank you for your very well written post! Brian, I just read, and really enjoyed, your book, A Farewell to Mars. But I was surprised how little you addressed the issue? 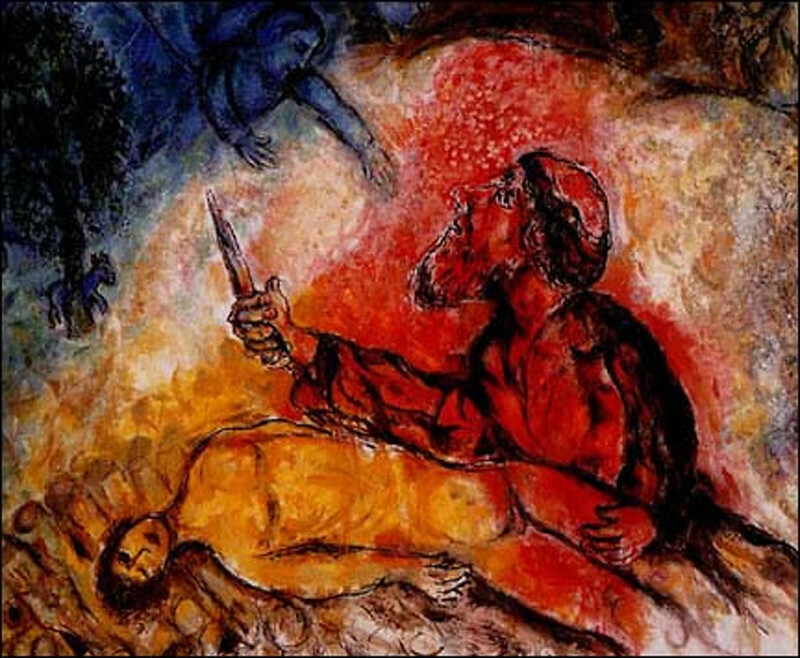 of violence in the Old Testament – so I came searching on your blog and found this post. I find your argument here compelling: a developing understanding of the nature of God brought into sharp focus and finally made known in the person of Jesus. Are there any other resources or books you would recommend that might flesh this idea out a little more? Genesis 22:2 – So, God told Abraham to offer his son to Him, to sacrifice him. So far, we can’t say he told him to “kill” him, but to sacrifice him, which may be understood as consecrating him. So far so good. However, the translation of the Hebrew text, no matter which translation I looked at on Biblegateway, uses the words “as a burnt offering on the mountain…” So here we definitely have a moral dilemma, because this type of sacrifice was practiced in pagan religions in his own environment. In the recounting of the events, does the Holy Spirit want us to focus on the primary command, or on the conclusion of this episode, where God stops it and provides a sacrifice (according to what Abraham told Isaac on the way to Moriah?). Abraham was ready to obey God and do something he could have already witnessed or heard about in his own culture at the time. Was God’s intention to be “honoured” with the blood of such sacrifice, a practice other “gods” were said to require, resulting in striking fear in the hearts of the regular folks followers, giving their leaders power of life and death other them, a convenient practice of power and ensuring submission? Or was God engaging with Abraham through the enactment of this journey, in order to provide him with a revelation of Himself that wasn’t just a replica of occult pagan religions he knew about? God after all, did not “receive” the sacrifice, He didn’t even let it happen, but He stopped it – a human life will not be given as a sacrifice, human blood will not be poured to prove obedience or atone for sins. God will not be mistaken for any other familiar deity – He requires mercy, not genocide. And again, it gets complicated, but I know there is an answer. Are we culturally able to process it, though, do we have today similar concepts to help us connect the dots? help me understand how you would talk about Noah and the flood in light of this subject. As I currently understand it, it was an act of God. Scott, I’ve asked that before myself. I’ve concluded that the incarnation assures us that we now see God in his fullness. The apostles testified that the Word became flesh (Jn 1:14), revealing the exact representation of God’s being (Heb 1:1-3)). “We proclaim to you what we have seen and heard, so that you also may have fellowship with us. And our fellowship is with the Father and with his Son, Jesus Christ” (1 Jn 1:3). I was thinking about the concept of a “mutating God” as Brian put it. And I don’t mean to sound too poetic or vague, but maybe, he doesn’t change in the moment, he changes the moment. I don’t know how else to put it right now, but that seems to sum up my thoughts for tonight. As Jesus said about the wheat and the tares, some are born children of righteousness, some children of perdition. It is not for us to decide. We are to love equally and tell them with our deeds and then our words, about God’s love. but I still have one question. What about Ananais and Sapphirah? God killed both of them when they lied to (Peter) the Holy Spirit in holding back some of their offering and saying “This is all of it”. Wasn’t that God proving to the disciples that He is still the God who commanded all those slaughters? Doesn’t scripture say His mercy will not always trump his judgment in Rev. 20:10 “and the devil who had deceived them was thrown into the lake of fire and sulfur where the beast and the false prophet were, and they will be tormented day and night forever and ever.” and Rev 21:8 “…their portion will be in the lake that burns with fire and sulfur, which is the second death.”? And Daniel 12:2 “And many of those who sleep in the dust of the earth shall awake, some to everlasting life, and some to shame and everlasting contempt.” Doesn’t this, too, show that the God who ordered those slaughters still has a temper? No. You cannot reconcile the God from Hosea who wanted to rip unborn babies from their mother’s wombs, to the non-violent enemy love demonstrated in Jesus. That is the essence of the Marcion dilemma. While I respect Greg, IF that is his position, it requires endless game of theological Twister to, essentially, affirm the divinely directed violence in the OT. My position, for what it’s worth, differs slightly from Zhand: The fact is, human beings wrote stories to make sense of their universe. And, on occasion, described their encounters with the divine. Yahweh and the divine assembly aren’t so much depicted in the OT, as they’re found in the undercurrent of progress throughout the Scriptures. Sidenote: We don’t have permission to casually dismiss the other ancient Mesopotamian stories that parallel the Bible because we “believe” there’s some lineage between us and the ancient Hebrews that claims exclusivity to their particular god. I’m talking about the flood narrative, Moses, cosmogony, various others, etc. All ancient texts reveal something bigger occurring behind the scenes, representing an evolving human consciousness. That might be too mystical for some ardent, dualist thinkers, but tough cookies. Interesting and valuable article, but it would seem further explanation is warranted as it pertains to these stories. Unsatisfying. I prefer Fr. Robert Barron’s explanation and analysis: when we encounter these difficult and troublesome passages we have to keep reading and to use different reading strategies. If we put ourselves in the straightjacket of fundamentalism-literalism we are stuck with a God who condones genocide or one who changes over time. If we are content to read these passages as allegories for spiritual struggle, the problem of genocide disappears because the passages speak of the need to allow no quarter to sin in our own lives. What this seems like is a sincere desire to believe or continue believing whilst trying to figure out how these hard questions can possibly make sense and fit something that people are comfortable with. There’s nothing inherently wrong with that. I commend him for even daring to touch what most won’t, but I personally don’t find it intellectually honest. I find it, again, an extreme desire to have things make sense so he can keep on believing without turning into Westboro Baptist believing the parts of the bible that make god a monster. Yep, Agreed. Neither can I. Neither should anyone. Lets honor people by stopping asking that of them. What about the current genocide of children in the womb? This conclusion must necessarily apply to them as well right? What about the idea that Abraham absolutely believed in blood sacrifice up to and including his son, because he thought that God would resurrect his son? It’s simple enough for me to process. Any god that demands you do something immoral and crazy to prove your love for him is an immoral and crazy god. This story caused me all kinds of problems when I believed it. So you’re certain the apostles were right, then; just as certain as you were that the OT patriarchs were wrong? Abraham was not involved in Ethic cleansing, it was the judgement of God on Idol worship. I see this as an expression on perfect love. For whatever reason our Father expressed His Love in wiping out these tribes and yes their babies. I trust Him in this area, even though I do not always understand. God is good all the time. Which is more reliable? People claiming to have heard a word from God, or people telling of what they heard and saw when they walked with God for three years? Yes, I’ll go with trusting the experience of the apostles. The incarnation is much better than simply relying on the words of prophets. But God’s covenant, having been broken, REQUIRED human sacrifice/blood/death. You come so close to the right answer but somehow pull short right at the last second… Christ is the fulfillment of the OT; therefore Christ’s sacrifice is the end of sacrifice, and the end of wrath, and the end of condemnation, and the fullness of justice. Don’t run from the idea that God commanded justice to be carried out by men upon other men! Sometimes God destroyed directly (Egypt, Sodom & Gomorrah) and sometimes by means of other nations, and that worked both ways (Babylon and Syria conquering Israelites). But the sum of the matter is this: we cannot dismiss God’s active wrath against evil while embracing His wrath poured out on the innocent Christ. We CELEBRATE God’s judgment, wrath, anger, etc. at Easter. The problem with this, and Christian theology as I understand it, is that salvation still comes through human sacrifice – that of Jesus himself. God the Father has his son executed, and planned to do this from the beginning of time apparently. Moreover, upon Jesus’s return, anyone who doesn’t accept this view will actually be slaughtered and sent to remain in hell for ever. Not much different from the Old Testament cleansing, or the Mystic Massacre as far as I can see, except of course billions of times worse! Sophistry and squirming to avoid an ugly aspect of Christian belief. What about the idea that the real God is the Loving Creator, and that the God of Wrath of the OT is another entity entirely, impersonating the Creator? That idea has been floated. It’s called Marcionism. I’m not a Marcionist. What I say is that the Old Testament is the inspired telling of Israel’s story of coming to know the true, loving, and living God — but along the way assumptions were made. This story of discovery finds its beautiful end in the Word made flesh: Jesus Christ. This is the historic Christian position (as opposed to Marcion’s position). Except none of the Gospels were written by apostles, and the vast majority of the New Testament was written by a man who knew Jesus entirely through “revelation”, not from walking with him for three years. But when he who had set me apart before I was born,[d] and who called me by his grace, 16 was pleased to reveal his Son to[e] me, in order that I might preach him among the Gentiles, I did not immediately consult with anyone;[f] 17 nor did I go up to Jerusalem to those who were apostles before me, but I went away into Arabia, and returned again to Damascus. 18 Then after three years I went up to Jerusalem to visit Cephas and remained with him fifteen days. 19 But I saw none of the other apostles except James the Lord’s brother. 20 (In what I am writing to you, before God, I do not lie!) 21 Then I went into the regions of Syria and Cilicia. 22 And I was still unknown in person to the churches of Judea that are in Christ. The Greek phrase translated “angels of God” is aggelon theou; this interpretive phrase is found in nearly all the extant Septuagint manuscripts. However, several earlier manuscripts have instead huion theou, or “sons of God.” This is a literal rendering of the Hebrew phrase beney ‘elohim found among the Dead Sea Scroll copies of Deuteronomy 32:8. The Septuagint translators plainly understood that the “sons of God” (beney ‘elohim) spoken of in Deuteronomy 32:8 and elsewhere were spirit beings (“angels”), and rendered it that way several times (Job 1:6; 2:1; 38:7) in order to clarify the meaning. Thus the textual change from huion theou to aggelon theou. JASHER 9:31 And they built the tower and the city, and they did this thing daily until many days and years were elapsed. 32 And God said to the seventy angels who stood foremost before him, to those who were near to him, saying, Come let us descend and confuse their tongues, that one man shall not understand the language of his neighbor, and they did so unto them. (pub. LXX reading on logical and philological grounds: God (El Elyon in Deut. 32:8) divided the earth according to the number of heavenly beings who already existed from the time of creation. true God and His government of the world through the angelic creation. Ugaritic literature contains many council scenes where the chief deity ‘El presides over the council of his divine sons, who stand before him on the holy Mount of Assembly. although they are presently in positions of authority, they are not inherently superior to the people they are oppressing, reminding them that they and their subjects share the same fate i.e. to die. Asaph ends the psalm by exhorting God to judge the earth and its divine rulers, because all nations truly belong to Him and not to them. So if the assumptions of God’s ‘chosen’ people were wrong how can it be said that the scriptures they wrote were the ‘word of God’, since they obviously badly misunderstood Him? You posit that God is immutable, when the Scriptures mention Him reversing His decisions (Exodus 32:14, Jonah 3:10 and many others). I believe your whole argument is flawed. After denying Sarah was his wife for at least the second time (so whose ground was he on and whose influence was he under? ), Abraham was told to slay his son by a voice he believed was God, yet it says it in terms of “God tempted Abraham…” (Genesis 22:1, KJV), and the order was reversed later in the chapter, while God says 3 times in Scripture things like “I will not alter the thing that is gone out of my mouth” and “I am the Lord, I change not”. And James 1:13 emphatically states that God tempts no one, at all, period. Something to consider. There are no positions that avoid conflict between different Scriptures using the APPARENT reading, the traditional reading, and literal reading , etc. There is only comparing Scripture with Scripture with the possibility of one being possibly literal and direct in its meaning, and another being indirect or figurative. Several times God is spoken of by the prophets as doing what He does not prevent. For example, in one place God “slew” Saul, while in another, the detailed description says Saul committed suicide, throwing himself on his own sword. It says God tempted David to Number Israel so He could take the excuse to stomp them, and in another account, that Satan tempted him. It says in Exodus in the first warning of the coming death of the firstborn of Egypt that God was going to kill them, while the next time Moses explains that God will accompany the death angel and will not “suffer” or ALLOW the killer angel to enter the houses with blood on the doorpost showing faith in His protection. If this were a loyal angel, why would God need to stop him from going in?? Then there is the part where God tells Moses to move the people back from the mountain, lest “he” – ANOTHER “Lord” – “break forth” and kill them. Clearly more was going on there than is seen on the surface. What’s to say that this evolution in understanding has stopped? If we have the holy spirit now to guide us, why can’t that fluid relationship affect our interpretation the static word lead us to believe anything we want about what the Bible says. The author of the article basically talked himself back into a hybrid of explanation one or two. Thank you Brian. I too have come to this understanding in the last few years, after a working lifetime in the ministry. The Cross doesn’t just express the extent of God’s love and what he has done for us, it reveals who he truly is. the holy city, and from the things which are written in this book. Somehow we’re forgetting the Genesis Flood here. And Sodom. And the future genocide that God commands his angels to carry out in Revelation. When the prophet Samuel demanded to know why Saul had not obliterated the pagans as commanded, it wasn’t because God was leading the nation of Israel through a “learning process”. And this whole idea of human history being a gigantic episode of mankind evolving to learn about God over time is really quite ridiculous. It doesn’t solve the problem. It doesn’t make God any “more likable” than if he were simply the God who chooses to go with genocide now and then. It only kicks the can down the road. Why? Because it begs the question: WHY is God choosing to let humanity go through this ‘understanding-of-God-evolution’ instead over millenia and allowing them to “work through” genocide? Why did he not just square away the issue early on? To provide backdrop for Christ. To have something to contrast against? I’m actually not against this “backdrop” idea…but it needs to be pointed out that it doesn’t solve the issue being address in Brian’s original article. God most certainly is not opposed to Genocide. All men, in their natural state hate God. They are his mortal enemies. If they could get God under their control, they would kill him in an attempt to become their own “god”. God is never unjust in wiping out his enemies. Regardless of our feelings on the issue. His holiness actually demands it and it’s only his own mercy and grace which hold him back for issuing forth justice on all the unsaved this instant. Whether God chooses to simply wave his divine hand and have 100% of the unregenerate fall over dead in an instant or he chooses to use the nation of Israel to cause them to fall over dead – they’re still dead. And God wanted them dead. John Mason and company got it wrong. But that’s because their story isn’t in the Bible. They put words in God’s mouth. A night of prayer doesn’t change that they did that and their manipulation of God in their own mind led them to evil. God commanded the death of cannanites. He did NOT command the death of the native Americans. Man did. And man’s tendency to justify horrors in the name of God doesn’t preclude God from using any weapon in his arsenal to execute his justice in his world as he sees fit. Including genocide. The better solution to the moral/immutable/understanding scripture is much more simple. God himself doesn’t change. But he DOES change how he interacts with people over the course of human history. Where you happen to be placed by him in human history dictates how you are to respond. And your response is to always be obedience. Period. The purpose of human history (indeed the purpose of hell) is actually to provide – wait for it – a backdrop. A backdrop for all of eternity. God’s goal in scripture is clearly to be glorified for all of eternity through his divine plan. He is going about this by interacting with people in different ways over time. Each age will be a story in eternity where all the saints of that age will share with all the other saints of the OTHER ages how they experienced God at their piont in history. When all is said and done, God wil be able to show that he interacted with mankind and opposed sin and evil in different ways. His people will glorify him as they tell each other their stories for all of eternity. All will understand that the ultimate decision to destroy the whole of creation and start over again fresh to rid the world of the stench of sin was necessary. After all, some Christians will have lived during Christ’s reign. Our great hope. And even they will admit that expunging creation and issuing it anew was the right thing to do. So what are we to do? Obey God. Just as the Israelites were to obey and commit genocide against the land of cannan – we are to obey. Christ has NOT shown himself to be the warrior king. Yet. Since we are commanded to be like Christ, our heart is to be tempered toward mercy in the time that we live. Christ has not yet taken up the sword and we should not be quick to do so either. We are not Israel and we are not living at that time. Our story for eternity is to frame God’s work in this age and his work is a work of mercy and grace. Our focus must be mercy and grace too. In conclusion though, let me say that mercy and grace are not ultimately morally superior to justice. Otherwise, Christ would never double back and show up as the righteous judge. He would never tread the wine press of wrath alone. His garments would never be stained with blood. But Revelation tells us that this is not the case. Judgement is coming and God doesn’t “feel bad” about acting out his own just nature. I really hope your wrong. This warmongering God who sees us with no value that he’s not grieved or moved at all by murdering thousands of people is horrific. It makes no sense to me that God bother to send Jesus for people worth so little. As Brain often says (paraphrased) I’m really glad the God I know and find in scripture is just like Jesus and not what your describing above. Doesn’t it sound like you’re making a god in your own image? One who is as “nice” as you want him to be? God did wipe out the entire population of the earth during the flood. And the animal life was exterminated too. Did the animals really deserve to go down just because man decided to start taking up arms against each other? We tend to try and “Americanize” God. We want a God who backs our constitution. We hate racism in America but God showed special favor to one race – the Israelite. We’d condemn him for that today, but he apparently doesn’t really care about our value systems and how we think equality should be dolled out. If you’re finding a God in the Bible that’s soft, squishy, and lovey-dovey…then the only way that can happen is that you’re not reading the whole thing. God IS a God of war. He will execute a military campaign against the antichrist and all who hold allegiance against him. They won’t be taken as prisoners of war and taught the error of their ways over the course of 25 years after Christ’s return. They’ll be killed. And then he does it AGAIN at the end of the 1,000 year reign. The God-Man reigning on earth, the curse lifted, people living as long as trees and if someone dies by accident at 70 and not old age they weep for him as if he’d died as a young child because that person’s time was so short. It’s about as good as it can get in a world where sin still exists and what happens? Men create an underground rebellion against Jesus and once Satan is loosed from the pit after the 1,000 years they rally to that old dragon and try to fight against the God-Man again! What does the Bible say he does? Counsel them? Show them mercy? No. Again, he wipes them out. Read Revelation, the account of the flood, the account of Sodom, and all the rest and then try to re-square your understanding of God with those truths. Don’t twist scripture to try and make God what you want him to be. That’s the wrong square peg to try and shove in a round hole. It sounds like I’m making God in Jesus’ image. First of all, the Creator God didn’t “ask” Abraham to do anything. God doesn’t ask. He commands. He gives a divine decree. Refusal is an act of cosmic treason. Also know as sin. Finally, if the Divine Creator appeared in your presence and somehow prevented you from dying from his appearance, then you may or may not choose to obey his command, but your heart would melt and you would have no courage to give any type of snarky reply. If Isaac was your son, and God commanded you to take him up the mountain and sacrifice him, then it most certainly would NOT be against your conscience. You assume that you’d be the same person when God issued the command to you. You wouldn’t be. God would have changed you in such a way that when the command was given, your conscience would not object. The conscience does not reject the commands of God. I get your encouragement to read a few books. While I do that I’d encourage you to maybe read some of what Jesus taught. chose to die on a cross. I may not be the one making God in my image. Brian I know this is an old post, but could you engage w Bruggeman’s Genesis commentary here? He starts by dismissing the interpretation of this as rejecting human sacrifice as being of “no value. Yes, Walter is not only a huge influence, he’s a real friend. But there are some things we just approach differently (partly because we have different audiences) and this is one of them. And, yes, teach Jesus! Thanks Brian, I really appreciate your engagement. Thanks to your ideas I think my lesson turned out pretty well. Sometime I’d love to know if WOLC has a children’s curriculum you’ve found or developed. I find myself often swimming against the tide in a largely flat reading Calvinist church and culture, and I desperately want my kids to understand God differently from that. I don’t think the fact of Abraham’s putting down the knife is necessarily unrelated to the account Kierkegaard’s going for. It almost feels different for me to talk about the Abraham thing vs. to talk about the genocides, because the former does seem to involve a “leap of faith” that this impossible task will somehow turn out to be possible, that this nonsensical task will make sense, as it does when the angel stays his hand. Whereas the genocides just sit there, having (insofar as you suspend your disbelief in the literal word of the Old Testament) happened, not making sense, not even in an elevating way like the Christ mystery or the mystery of the Trinity does – I mean, they don’t structurally not make sense, they make perfect sense provided God’s morality is just irrevocably different from humans’, to a point where no real meeting is possible or ever attempted, and faith ceases to be mysterious so much as arbitrary: you might as well have faith in the alien morality of Cthulhu, or a wild animal. They’re also less powerful passages. Are any of them even in the Pentateuch again? Thanks! Glad you appreciate them.